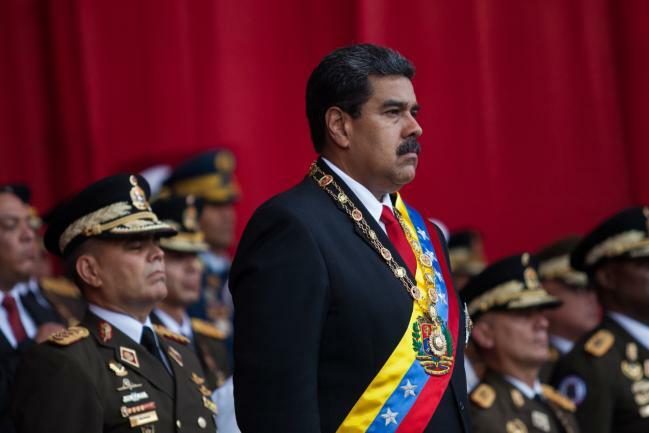 (Bloomberg) — Venezuela President Nicolas Maduro replaced part of his cabinet Thursday after winning re-election last month in a vote widely derided as a sham. The leftist leader tapped Delcy Rodriguez, a close confidant and head of the nation’s all-powerful constituent assembly, to replace Tareck El Aissami as vice president. El Aissami, who the Trump administration sanctioned last year for alleged drug trafficking ties, will now lead an “economic revolution” as head of a new national industry and production ministry, while also taking over the economic vice presidency, Maduro wrote on Twitter. Since his May 20 victory, Maduro has released dozens of political prisoners and promised to revive Venezuela’s crumbling oil industry. While domestic foes have been quashed and forced into exile, Venezuelans across the political spectrum criticize the hand-picked successor of late President Hugo Chavez for bringing hunger and hyperinflation upon what was once a prosperous OPEC nation. Rodriguez, 49, has also served as information and foreign minister, where she made her name by making angry rants against the U.S. and the Organization of American States for attempts to push regional efforts to dissolve Venezuela’s crisis. Following months of bloody protests, Maduro last year named Rodriguez head of a legislative super body, comprised solely of party loyalists, which was charged with re-writing the nation’s charter and persecuting the government’s most strident foes. Maduro also named Yomana Koteich as foreign trade and investment minister. Koteich will help “replace a rentier model with a diversified model of exports and encouragement of foreign investment,” Maduro said.